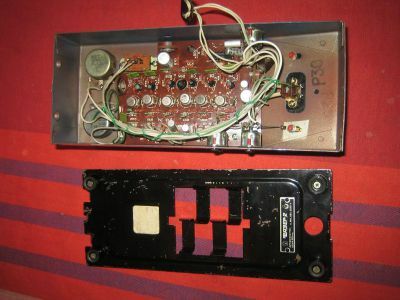 Just bought myself another soviet effect pedal, a pretty beat up fazer-2. It's missing quite a few components on the pcb and most of the wiring is loose. In addition it's been modified with an extra potentiometer labeled DIST. 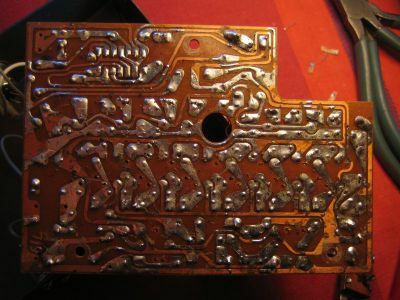 For most people I guess it would be considered to be non-repairable, but I really like those old soviet pedals, so I hope someone on this forum has eider a schematic for this effect, or has a working one for comparison? I will post your request for the schematic on the Russian forum. Also, try to reattach the photos because these do not open. Гость Thank you! Wish I knew russian. Pictures solved! This should make it easier for you. Keep us posted about the progress of the repair job. 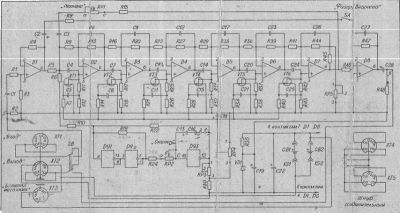 Гость Spent a few hours last night trying to sort out what kind of OPs and transistors where used in this effect, since there are no names or values on the schematic and there are non on my pcb. Conclusion: the board inside my fazer is not the original, probably a totally different effect all together. Very unique yes, but I would still prefer to have the original. So, if anybody has one of these, could you please post some good pictures of the board so that I can try to make a new? Or if you have one for sale. Spent a few hours last night trying to sort out what kind of OPs and transistors where used in this effect, since there are no names or values on the schematic and there are non on my pcb. Conclusion: the board inside my fazer is not the original, probably a totally different effect all together. Very unique yes, but I would still prefer to have the original. Om jag vore dig skulle jag vдnta tills det dyker upp en ny Fazer-2 pе eBay, Det ser ut som om din Fazer-2 har fеtt ge utrymme fцr en hemmabyggd dist -varfцr inte rita ut ett schema och sдtta igеng den? Den kan lеta hur coolt som helst. 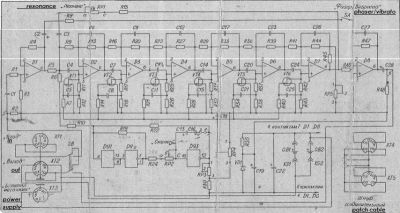 If I were you I'd wait for another Fazer-2 to show up on eBay, It looks like your Fazer-2 has been modified to house a homemade distortion -why not draw out the schematic and get it up and running? It could sound really great. Гость grizzlytone, thanks for the pictures. I thought about tracing the circuit inside my fazer, but there are too many part missing, probably half of it. Making a new fazer-2 board wouldn't be too difficult, but I would have to have the part values. I guess my biggest chance is to find another one for sale. Thanks for your help! grizzlytone, thanks for the pictures. I thought about tracing the circuit inside my fazer, but there are too many part missing, probably half of it.